November 8, 2007: New York Times headline—A ‘Hidden Oasis’ in Las Vegas’s Water Waste. “There’s a back to the land movement of sorts around Las Vegas these days, driven by the desert city’s growing realization that the only reason it can exist — the sapphire, but shrinking, expanse of Lake Mead 30 miles away — is not as durable as the Hoover Dam that created the reservoir 70 years ago. The lake is below half its capacity after years of drought in the Colorado River basin. 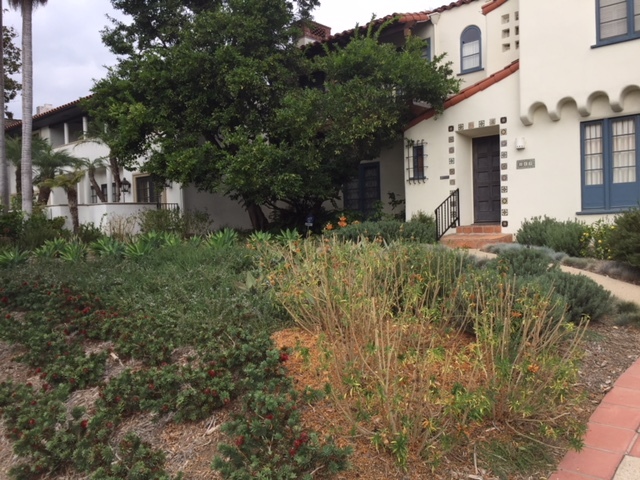 So under turf removal programs initiated by the city and regional water agencies, homeowners and businesses have been paid up to $2 a square foot to roll up and cart away lawns and replace them with “xeriscapes,” desert-friendly plantings. Commentary: The article goes on to quote critics who said that the Southern Nevada Water Authority should be doing more. Well, sure. Everyone should always be doing “more.” However, in my humble opinion, we will look back on the turf removal effort by SNWA as a historic turning point in the war against municipal water over-use in the arid West. Pat Mulroy and her leadership team at the SNWA have great reason to be proud of this innovation. 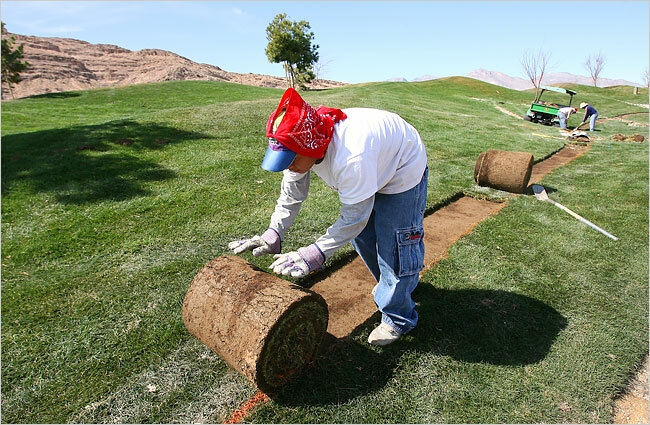 Further Commentary: In 2014, in the middle of California’s worst recorded drought, many utilities are emulating the Las Vegas leadership and offering up to $3 per square foot of turf removal. 2015: Turf removal has become so popular during the mega-drought in California that budgeted amounts for the programs are quickly oversubscribed. And Even Further Commentary: As I posted this item in late 2017, my front yard was completely populated with drought tolerant plants and a drip irrigation system. We received the maximum $6,000 rebate from the City of Santa Monica at $3.50 per square foot of turf replaced. However, that amount, which was quite generous, did not come close to the full cost of this expensive project. Don’t let anyone tell you that drought landscaping is simple or cheap. Final Commentary: It is 2018, and the drought garden has grown in fully. 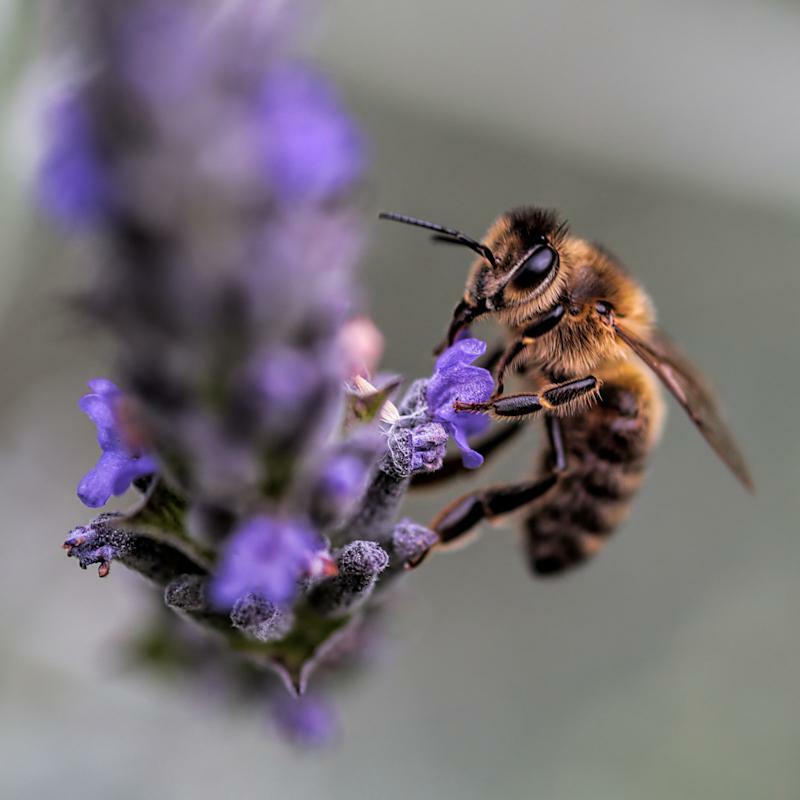 We have swarms of wonderful honeybees feeding off of the nectar from the lavender and rosemary flowers. We love them. If I stand quietly, I can hear the hum of hundreds of bees working. Beautiful lizards with yellow stripes live in this ecosystem along with crickets, butterflies and who knows what. Hummingbirds love our Lions’ Tails. It is a joy. Now, if I could just find the hive where the bees are making the most delicious honey on earth, life would be complete. This entry was posted in Year 7 TDIWH and tagged conservation, drinking water, drought, drought landscape, Las Vegas, Pat Mulroy, southern California, turf removal, water on November 8, 2018 by safedrinkingwaterdotcom. And Even Further Commentary: As I sit here posting this item in late 2017, my front yard is completely populated with drought tolerant plants and a drip irrigation system. We received the maximum $6,000 rebate from the City of Santa Monica at $3.50 per square foot of turf replaced. However, that amount, which is quite generous, did not come close to the full cost of this expensive project. Don’t let anyone tell you that drought landscaping is simple or cheap. This entry was posted in Year 6 TDIWH and tagged conservation, drinking water, drought, drought landscape, Las Vegas, Pat Mulroy, southern California, turf removal, water on November 8, 2017 by safedrinkingwaterdotcom. And Even Further Commentary: As I sit here posting this item in late 2016, my front yard is completely dug up and we are awaiting the delivery of drought tolerant plants and a drip irrigation system to complete our drought landscaping project. It looks like we could get as much as $6,000 in rebates from the City of Santa Monica at $3.50 per square foot of turf replaced. However, that amount, which is quite generous, will not come close to the full cost of this expensive project. Don’t let anyone tell you that drought landscaping is simple or cheap. This entry was posted in Year 5 TDIWH and tagged conservation, drinking water, drought, Las Vegas, Pat Mulroy, southern California, turf removal, water on November 8, 2016 by safedrinkingwaterdotcom. This entry was posted in Year 4 TDIWH and tagged conservation, drinking water, drought, Las Vegas, Pat Mulroy, southern California, turf removal, water on November 8, 2015 by safedrinkingwaterdotcom. Further Commentary: In 2014, in the middle of California’s worst recorded drought, many utilities are emulating the Las Vegas leadership and offering up to $3 per square foot of turf removal. This entry was posted in Year 3 TDIWH and tagged conservation, drinking water, Las Vegas, Pat Mulroy, turf removal, water on November 8, 2014 by safedrinkingwaterdotcom. This entry was posted in Year 2 This Day in Water History and tagged conservation, drinking water, Las Vegas, Pat Mulroy, turf removal, water on November 9, 2013 by safedrinkingwaterdotcom. This entry was posted in This Day in Water History and tagged conservation, drinking water, Las Vegas, Pat Mulroy, turf removal, water on November 8, 2012 by safedrinkingwaterdotcom.